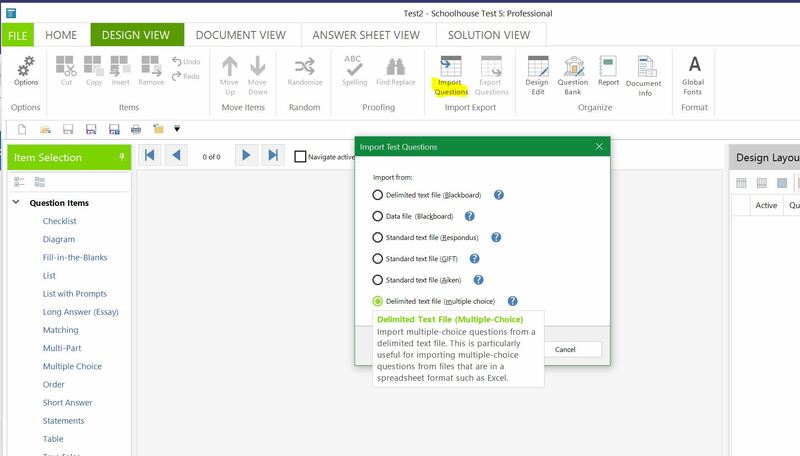 Can I import my tests created in Microsoft Word into Schoolhouse Test? Currently only multiple choice questions can be imported using the Delimited Text File option in the Import dialog. 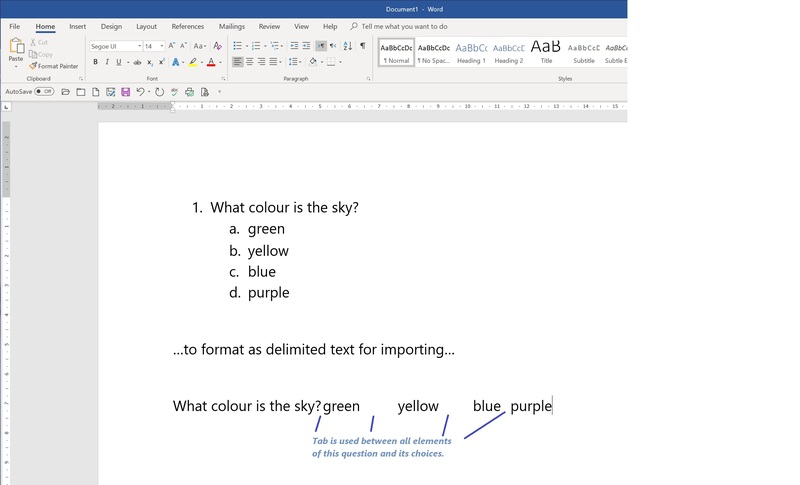 Multiple choice questions set up in delimited text format - in something like Microsoft Excel - can be imported fairly easily. 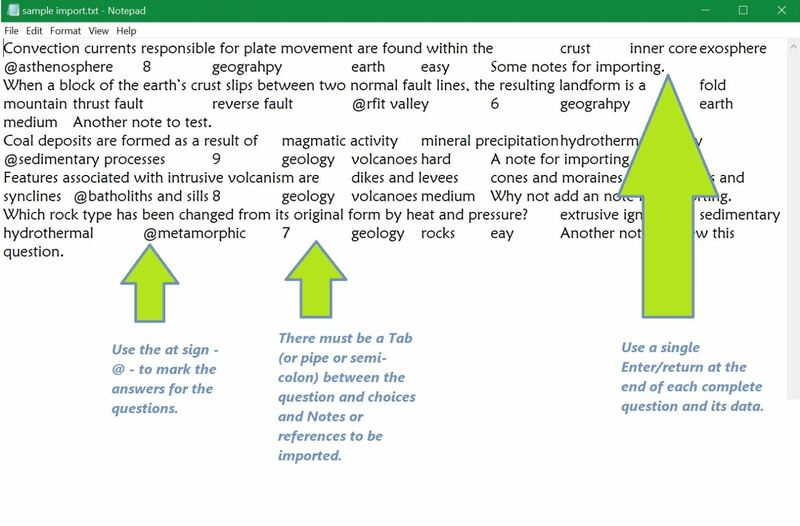 But text in Microsoft Word is just text, and does not have all of the cues needed by the program to easily determine where a question ends and the choices/answers begin & end. Depending on your level of skill with MS Word, you may be able to make the formatting adjustments faster then copying & pasting the text into Schoolhouse Test, but that is something you will have to determine.